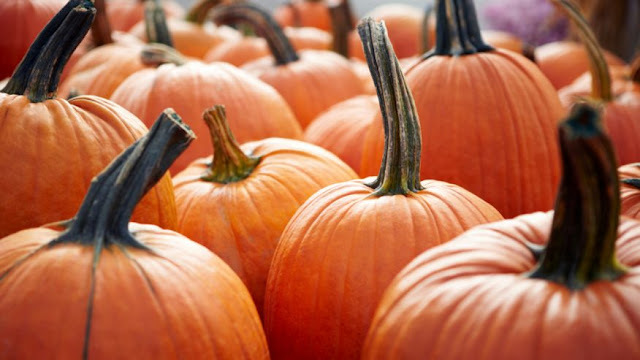 While you sip on that pumpkin spice latte, consider these unusual pumpkin facts about your favorite fall produce. Maybe you want to know why pumpkins fit so effortlessly into sweet and savory dishes, like pumpkin ravioli and pumpkin pie. Perhaps you are curious about how early American settlers used this foreign gourd for cooking, or why we carve faces into pumpkins on Halloween. Pumpkins haven’t always been as popular as they are today. In fact, pumpkins were hardly eaten by people for a considerable part of the 19th century. 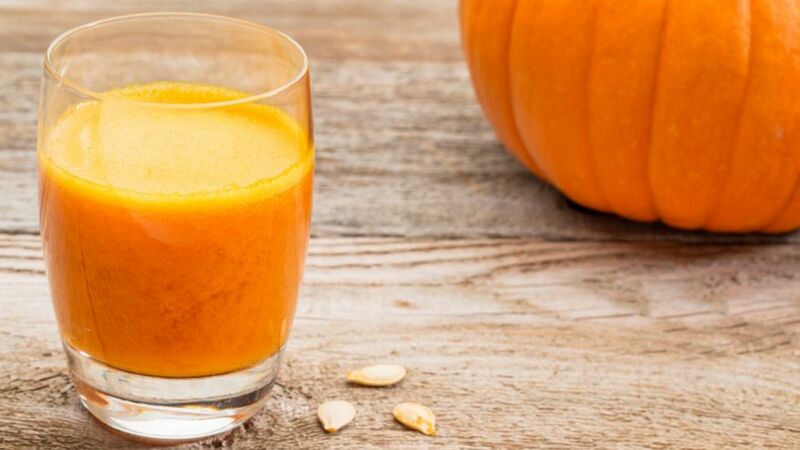 Hard to believe considering pumpkin spice seems take over our taste buds every fall season. No food is above a little help from pumpkin spice: Pumpkin flavored yogurt, coffee, candies, and even English muffins are cropping up on our supermarket shelves. While the round orange pumpkin is the most recognizable pumpkin, pumpkins come in many different shapes, sizes, and colors. Some of the cleverly named pumpkin varietals include, Halloween in Paris from France, Cinderella (the varietal cultivated by the Pilgrims), and Wee-Be-Little a miniature pumpkin varietal. 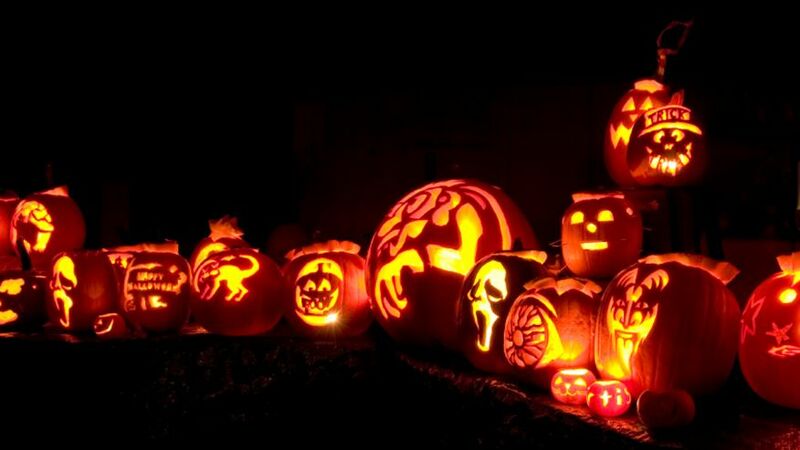 The tradition of carving pumpkins originated in Ireland. The Irish would carve jack-o-lanterns out of turnips to scare away evil spirits during the Celtic holiday Samhain, the night when spirits of the dead would walk the earth. 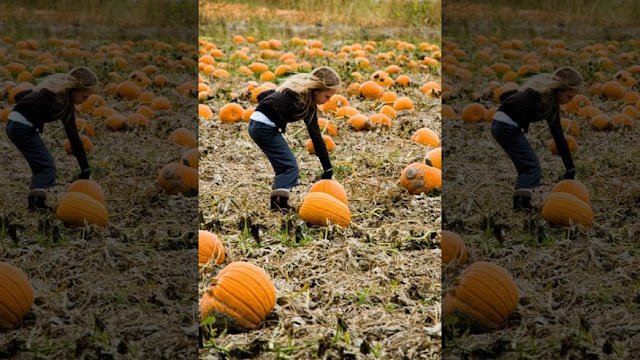 80 percent of the pumpkin crop in the U.S. is available during October. That is roughly 800 million pumpkins out of the 1 billion pumpkins grown in the U.S. each year. 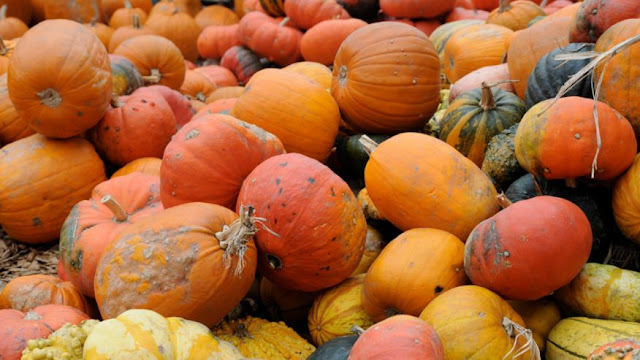 Morton, Illinois is the self-proclaimed pumpkin capital of the world. Illinois is one of the largest producers of pumpkin in the United States with 90 to 95 percent of its crop being used for processed pumpkin foods. 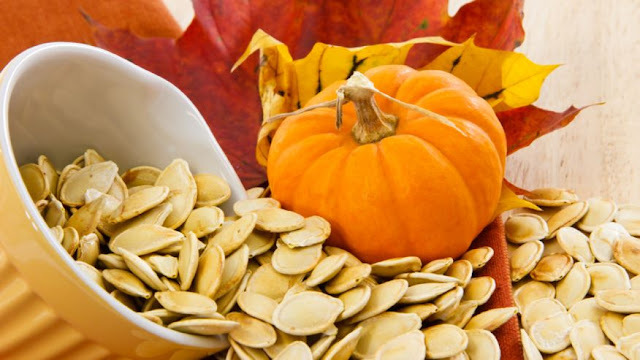 Pumpkin seeds contain more protein than peanuts and are a wonderful roasted with spices or salt. Sprinkle pumpkin seeds on top of salads or eat as a snack on their own. Admittedly, this is less of a surprising fact when you consider that pumpkins come from the same family as the watermelon and cucumber.